Restricted cubic splines are a powerful technique for modeling nonlinear relationships by using linear regression models. I have attended multiple SAS Global Forum presentations that show how to use restricted cubic splines in SAS regression procedures. However, the presenters have all used the %RCSPLINE macro (Frank Harrell, 1988) to generate a SAS data set that contains new variables for the spline basis functions. They then use those basis variables in a SAS regression procedure. Since SAS 9.3, many SAS regression procedures provide a native implementation of restricted cubic splines by using the EFFECT statement in SAS. 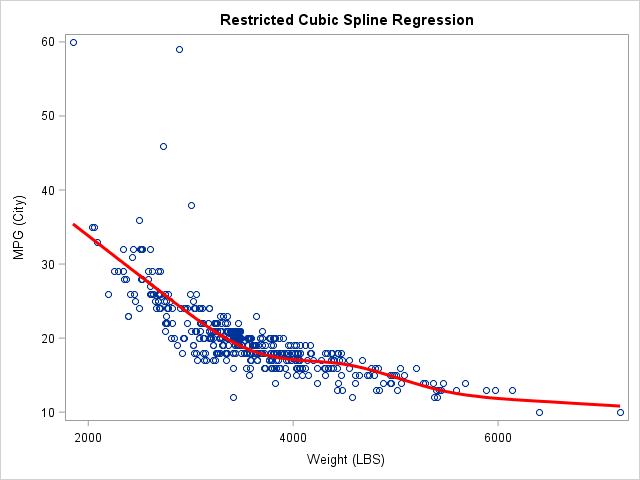 This article provides examples of using splines in regression models. Because some older procedures (such as PROC REG) do not support the EFFECT statement, the article also shows how to use SAS procedures to generate the spline basis, just like the %RCSPLINE macro does. If you are not familiar with splines and knots, read the overview article "Understanding splines in the EFFECT statement." You can also read the documentation for the EFFECT statement, which includes an overview of spline effects as well as a brief description of restricted cubic splines, which are also called "natural cubic splines." I think the fact that the SAS documentation refers to the restricted cubic splines as "natural cubic splines" has prevented some practitioners from realizing that SAS supports restricted cubic splines. This section provides an example of using splines in PROC GLMSELECT to fit a GLM regression model. Because the functionality is contained in the EFFECT statement, the syntax is the same for other procedures. For example, if you have a binary response you can use the EFFECT statement in PROC LOGISTIC. If you a fitting a generalized linear model or a mixed model, you can use PROC GLIMMIX. This example fits the MPG_CITY variable as a function of the WEIGHT variable for vehicles in the Sashelp.Cars data set. The data and a scatter plot smoother are shown in the adjacent graph. (To produce the graph, the following statements sort the data, but that is not required.) The smoother is based on a restricted spline basis with five knots. Notice that the SELECTION=NONE option in the MODEL statement turns off the variable selection features of PROC GLMSELECT, which makes the procedure fit one model just like PROC GLM. /* Fit data by using restricted cubic splines. The EFFECT statement with the SPLINE option is used to generate spline effects from the WEIGHT variable. The effects are assigned the collective name 'spl'. Putting 'spl' on the MODEL statement says "use the spline effects that I created." You can specify multiple EFFECT statements. Spline effects depend on three quantities: the kind of spline, the number of knots, and the placement of the knots. You specify restricted cubic splines by using the NATURALCUBIC BASIS=TPF(NOINT) options. Technically you do not need the NOINT suboption, but I recommend it because it makes the parameter estimates table simpler. The KNOTMETHOD= option enables you to specify the number and placement of knots. In this example, PERCENTILES(5) places knots at five evenly spaced percentiles of the explanatory variable, which are the 16.6th, 33.3th, 50th, 66.6th, and 83.3th percentiles. Equivalently, the knots are placed at the 1/6, 2/6, 3/6, 4/6, and 5/6 quantiles. Most researchers use a small number of knots, often three to five. The exact location of knots is not usually critical: if you change the positions slightly the predicted values of the regression change only slightly. A common scheme is to place the knots at fixed percentiles of the data, as shown above. Alternatively, Harrell (Regression Modeling Strategies, 2010 and 2015) suggests heuristic percentiles as shown below, and this scheme seems to be popular among biostatisticians. KNOTMETHOD=PERCENTILES(5): Places knots at the percentiles 1/6, 2/6, ..., 5/6. An example is shown above. KNOTMETHOD=EQUAL(5): Places knots evenly within the range of the data. If δ = (max-min)/6, then the knots are located at min + i δ for i=1, 2, ..., 5. KNOTMETHOD=RANGEFRACTIONS(0.05 0.275 0.50 0.725 0.95): If you want knots placed unevenly with the range of the data, use this option. For example, the value 0.05 means "place a knot 5% along the data range" and 0.275 means "place a knot 27.5% along the data range." You can separate list values by using spaces or commas. KNOTMETHOD=LIST(2513, 3174, 3474.5, 3903, 5000): This option enables you to list the locations (in data coordinates) of the knots. You can use this option to specify Harrell's schemes. For example, Harrell suggests the 5th, 27.5th, 50th, 72.5th, and 95th percentiles when you use five knots. You can use PROC UNIVARIATE to find these percentiles for the WEIGHT variable and then type the results into the KNOTMETHOD=LIST option. KNOTMETHOD=PERCENTILELIST(5 27.5 50 72.5 95): This option is available in SAS/STAT 15.1 (SAS 9.4M6). It enables you to place the knots at percentiles of the data. You can use this option to specify Harrell's schemes. 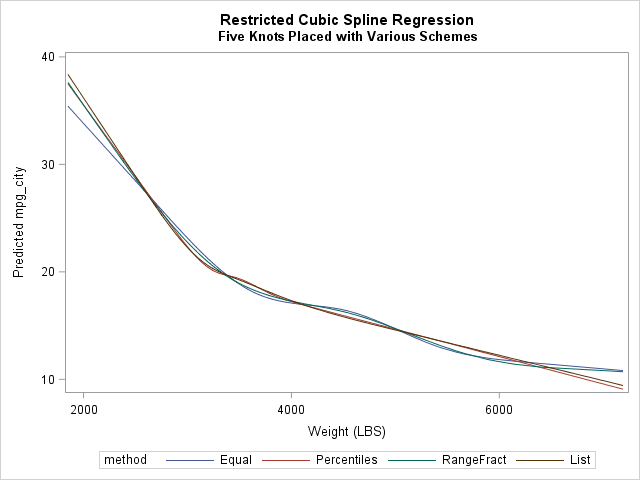 For details, see "An easier way to perform regression with restricted cubic splines in SAS." The adjacent graph shows the predicted values for the four different knot placement methods. (Click to enlarge.) You can see that the general shape of the regression curves is similar regardless of the placement of knots. The differences can be understood by looking at the placement of the first and last knots. The slope of the natural cubic spline fit is linear past the extreme knots, so the placement of the extreme knots dictate where the predictions become linear. For the EQUAL and RANGEFRACTION methods, the largest knots are placed at WEIGHT=6300 and WEIGHT=6923, respectively. Consequently, the predictions for large values of WEIGHT look more cubic than linear. In contrast, the largest knot for the PERCENTILES method is placed at 4175 and the largest LIST knot is 5000. The predictions past those values are linear. In SAS/STAT 15.1 (SAS 9.4M6), you can use the KNOTMETHOD=PERCENTILELIST(5 27.5 50 72.5 95) option to place knots at percentiles of the data, as recommended by Harrell. As mentioned eaerlier, not every SAS procedure supports the EFFECT statement. However, the GLMSELECT, LOGISTIC, and GLIMMIX procedures all provide an OUTDESIGN= option, which enables you to output the design matrix that contains the spline basis functions. Furthermore, PROC LOGISTIC supports the OUTDESIGNONLY option and PROC GLIMMIX supports the NOFIT option so that the procedures do not fit the model but only output the design matrix. Notice the options to the OUTDESIGN option in PROC GLMSELECT. The ADDINPUTVARS option copies the original variables into the design matrix. The FULLMODEL option tells the procedure to output the design matrix for all variables on the MODEL statement, regardless of whether they appear in the final "selected" model. One last comment: the basis functions that are generated by the EFFECT statement are not equal to the basis functions created by the %RCSPLINE macro, but they are equivalent. The EFFECT statement uses the definition from The Elements of Statistical Learning (Hastie, Tibshirani, and Friedman, 2009, 2nd Ed, pp. 144-146). The %RCSPLINE macro implements scaled versions of the basis function. Thus parameter estimates will be different but the predicted values will be the same. You can use the NATURALCUBIC BASIS=TPF(NOINT) option in the EFFECT statement in SAS to perform regression with restricted cubic splines, which are also called natural cubic splines. You can use the KNOTMETHOD= option to specify the number and placement of the knots. The EFFECT statement is supported by the GLMSELECT, LOGISTIC, and GLIMMIX procedures, among others. These procedures enable you to output a design matrix that contains the spline basis functions, which you can use in procedures that do not support the EFFECT statement. Bilenas, J. V. (2014), "Scatter Plot smoothing using PROC LOESS and Restricted Cubic Splines." Croxford, R. (2016), "Restricted Cubic Spline Regression: A Brief Introduction." I know that spline/GAM models have greater fit with more complex interpretation. I just applied the above code to a project I was planning to fit a spline model to today (so this was a nice timely article). The functional relationship between my DV and IV appears to be an "U" shape where I used three knots based on 0.1, 0.5, 0.9. I am happy with the fit (knots at subject ages 5, 17, 29) and it makes contextual sense as well. Though I wanted to see if you had information on the model's coefficients. So the model has an intercept term, spl 1 and spl2. In my mind it seemed like there should be #knots + 1 for the number of spl terms generated? What do the two spl terms represent in a 3 knot model (just the two general slopes in a U-shape? Thank you. Great question. The BASIS=TPF(NOINT) option is suppressing one of the (redundant) basis elements. When you ask for a spline basis with k knots (see this doc example), you get k basis functions: the constant function, the identity function, and k-2 truncated cubic power functions. In your three-knot basis, the intercept is one parameter estimate, the spl_1 function is the identity function (age), and spl_2 is a function that is constant for age29. The parameter estimates tell you that the predicted value is YHat = Intercept + b1*age + b2*slp_2. It is usually difficult to "interpret" the parameters for a spline model. If I have many variables, how do I know which one has linear effect and which one has non-linear effect ? Is there an option to output confidence intervals along with the FIT values? Yes, but there is no special "spline CI option." The spline effects are just like any other explanatory variables, so you can use whatever options the procedure supplies on the OUTPUT statement. For PROC REG you would use the LCLM and UCLM options. For GENMOD, the options are named LOWER and UPPER. For GLIMMIX, LCL and UCL, and so forth. Thank you for this very helpful page! I have used the EFFECT statement together with PROC LOGISTIC. But I haven't figured out how to modify the code in order to plot odds ratios on the y axis, instead of logit or predicted values. Is it possible to do that? Look at the ODDSRATIO statement. See the example in the article "Odds ratio plots with a logarithmic scale in SAS." If that doesn't meet your needs, post your question and sample data to the SAS Support Communities. Thank you very much for you very helpful and informative article on restricted cubic spline. where spl1-spl4 are the basis functions. 1. I've already constructed a rather complicated Cox model, including time-varying variables created both by counting process method and statement method. However, I only focus on the linearity issue of one specific Variable, age, while adjusting for the rest. Age is defined as a binary time-dependent variable with a cutoff of 400days (in my model the HR of age differs greatly before and after 400days of follow-up), and included in the model as age_lt400 and age_ge400 (both created in prior data step using counting process method). As suggested, I should include two EFFECT statements for age. Is it ok for me to do that? And additionally only for my interest, is it possible to include a RCS analysis for an interaction term of continuous time with one of my Var? 2. I notice you haven't talked about the way to test for linearity. Is it right to perform the test by a test statement which includes the terms spl2-spl4 (5 knots)? Thanks for writing and good luck on your project. I am not an expert on Cox regression models, so I suggest you ask your questions at the SAS Support Community for statistical procedures. (1) You cannot include both variables in your model. They are linearly dependent: AGE_LE400 = 1 - AGE_GE400. (2) You should not compute a spline of a categorical variable. Splines are for continuous variables. (3) I don't think using a spline effect on a TEST statement makes sense. When you post to the Support Community, you can discuss these issues with people who know more about survival analysis. I followed your code to generate cubic splines, thank you. I have some doubts, is it possible to graph the estimators obtained instead of the predictive values? How can I use the "nomarkers" in the sgplot?, I have some many markers and I don't want it. Thanks for your comment. I suggest that you post your question and sample data to the SAS Support Community for statistical procedures. That way you can easily include code and sample data. Yes, I was asking about how to graph the spline functions, and its seem easy, thanks. Just one more question, do I have to keep the spline functions? if yes, how can I do it? As I said before, please post your coding questions to a SAS Support Community, which is better suited for posting SAS code. You have mistyped the variable names, which should be spl_1-spl_4, as shown in my initial response. I have data with repeated measurements (patient outcomes at a hospital are not independent of each other). I know of the option to use REPEATED statement in proc genmod, or proc nlmix. Is there something like this for the proc gam procedure? To fit generalized additive models in SAS, use the newer GAMPL procedure rather than the older PROC GAM. To answer your question: no, the nonparametric regression procedures in SAS do not have a REPEATED statement. You specify the spline effect in the EFFECT statement and/or the MODEL statement. I am trying to use your code in a back-fitting algorithm. I need to save the spl from iteration(i) to use in iteration (i+1). How can I do that? This question is more complicated than I can easily answer in a comment. Please post sample data and your current code to a SAS Support Community. Provide as many details as you can, including how you are implementing the algorithm. 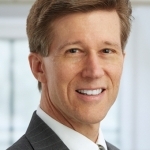 If you are using SAS/IML, post to the SAS/IML Support Community. Otherwise, post to the Statistical Procedures Community. Thanks for the clear explanation. It would be nice if the dataset created with OUTDESIGN included an identification variable. For example, variables listed in the ID statement in PROC LOGISTIC. I know the dataset is sorted in the same order as the input dataset, I just don't feel comfortable doing a MERGE without a BY statement. As shown in the last example, you can use the ADDINPUTVARS suboption to the OUTDESIGN= option to get an ID variable into the output data set. For example, the 'SplineBasis' data set in the last example contains the 'Model' variable, which you can use as an ID variable. By the way, in case you need it, there is a macro variable that contains "Meaningful names for columns of a design matrix." A bit late to the party but I don't think proc logistic allows for suboptions in the outdesign option. Sorry if you were confused. When I said "as shown in the last example," I meant the last example in the article, which uses PROC GLMSELECT. I followed your code to generate cubic splines, thank you. I have data with repeated height measurements of children, I want to (1) fit splines to see how height changed over age within each group (access to water vs. having a problem in using water), and (2) compare the trend of height change, how to analysis it in SAS? Please post questions like this to the SAS Support Communities. The general problem that you are experiencing is explained in the article "Visualize multivariate regression models by slicing continuous variables." For your mixed model, the OUTPUT statement is including the random effect in the predicted values. Use the PREDICTED(NOBLUP) option and sort the output data to get the plot you want. Thank you for your code, I have a near 0.5 million subjects in a cross sectional study. I observed a u shaped relationship between exposure and outcome using restricted cubic splines with 4 knots,I am happy with the results, but my question is how can I to identified the exact cut point where the outcome is minimum . Is it suitable to use boostrap analysis ? What's your suggestion? I am appreciated for your reply! Read the article "Compute derivatives for nonparametric regression models." The article describes how to find the extrema of a nonparametric regression function, which occurs when the derivative of the predicted response is zero. You can use the ideas in the article to find the values of the explanatory variables that correspond to the minimum predicted value.